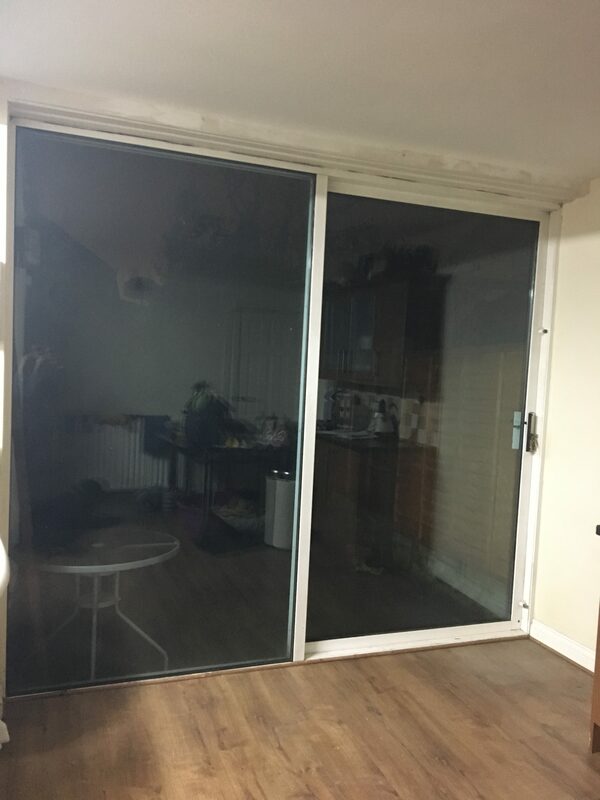 When we first moved in to our house 3 & half years ago now there were just a couple of things I wanted to change and one of those was the horrendously heavy big sliding patio doors to the garden. They used to make our kitchen very cold because all the seals had started to go around the glass so could feel the draft and were cold to the touch. 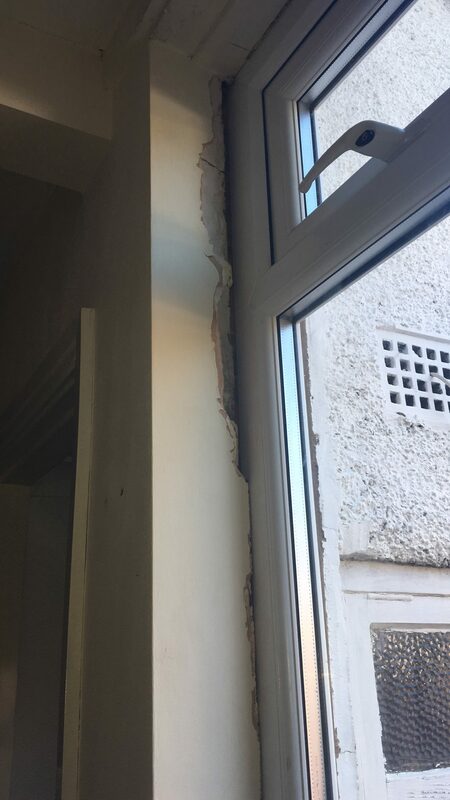 We’ve had to replace the runners before because the door came of them due to the sheer weight and it got to the point where we were having to use 2 hands and put our foot on the wall to attempt to even open it, that’s when we knew we had to do something soon. The company doing our bathroom had a window contact so we asked them out for a quote. Within a matter of days we had our quote and it was competitive so we decided to go ahead and get it done with a company called Donmar Windows. It would take a couple of weeks to get it made but we expected that due to the size of the doors. The guys from Donmar windows arrived promptly at 8am to start work. 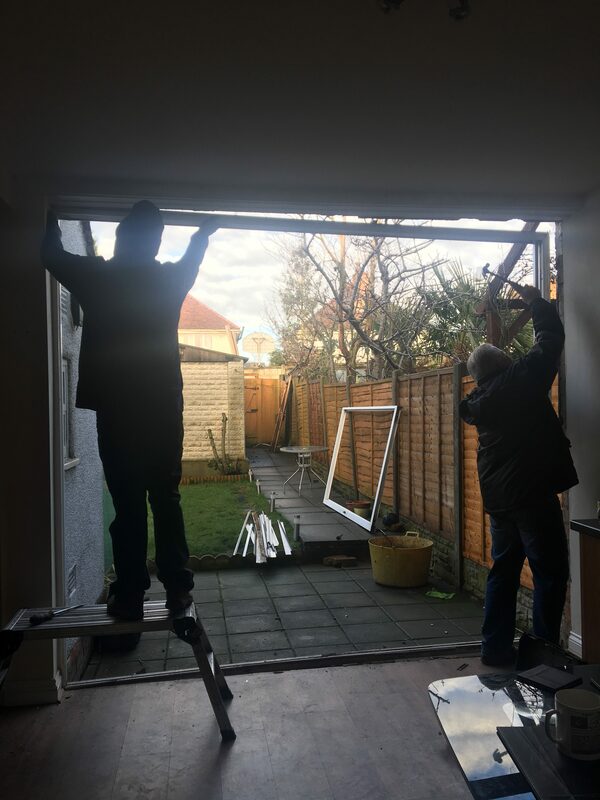 They removed the old doors, then came the task of taking the old frame out, as we didn’t know what the state of the walls would be like I was worried it may make a mess, but they did it slowly & gently, little bits at a time and it came out, with just a little bit of plaster. When they put the new doors & panels in they had to pack it out because the old one was much wider, but you would never tell now, (unless you go outside). 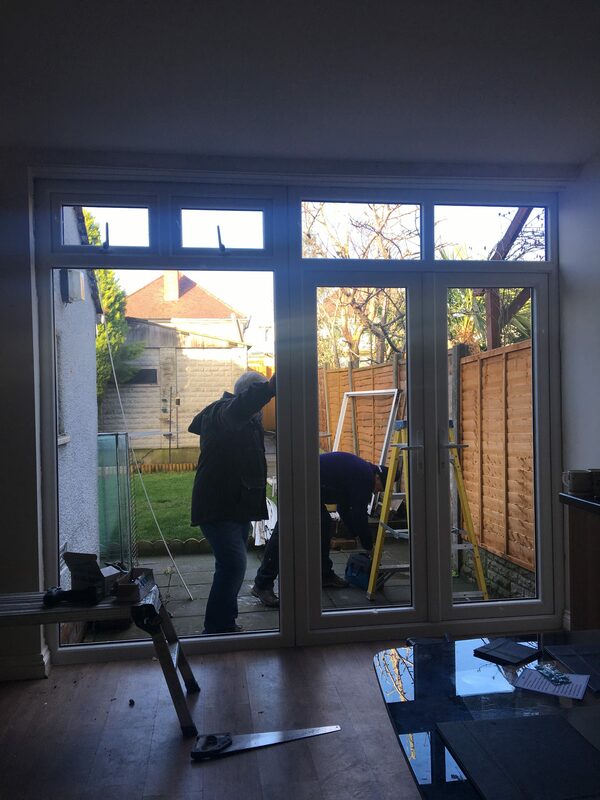 It took them a good few hours to attach and drill it into position, join them together and make sure that the doors were level, then it was time to put the glass in, they did the little panes at the top first then the big ones. Once they were all in they put all the seals in and made good of all the edges by putting a trim down each side and along the bottom and silicone all round. Our thoughts of Donmar Windows & would we recommend them? Excellent service, great guys, attention to detail and tidied up after themselves and took away all rubbish. Yes we would highly recommend this company.